Have listened to this several times. I never tire of most things Elvis. Absolutely love the man &amp; his music. 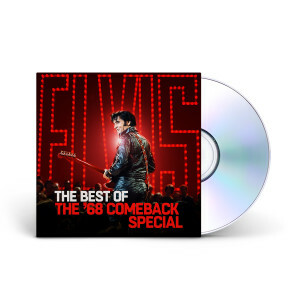 I love my 68 comeback special cd I listen to it everyday I’m a huge Elvis fan! ?? This is a fine album. Edited very well for a smooth, enjoyable listen. It really is the best of '68...and the new If I Can Dream is very well done. I have seen the original show because I have it on DVD and have watched it several times. When I saw this DVD I had to have it and I also watched this new All Star Special. Both are excellent and I would recommend both to any and all Elvis lovers! The CD - Best of the 68 Comeback is Excellent! Brings back memories of that young, strong, healthy &amp; dynamic Elvis. Would recommend it to ALL Elvis fans!! Thanks! !